Physics major Brenna Robertson has been selected as the recipient of the 2018 Mark Miller Undergraduate Research Award. 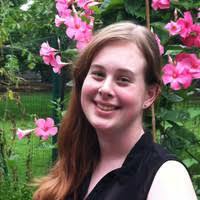 Brenna’s proposal, which focuses on modeling supermassive black hole spin using spectral emission diagrams, was selected from among a strong pool of applicants. Brenna Robertson is working with Prof. Jonathan Trump. 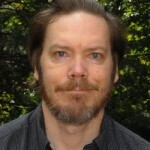 The Mark Miller Award is a stipend to allow a student to remain in Storrs over the Summer session to work on a research project with a faculty member of the Physics Department. It was created through a donation made by Mark E. Miller, a UConn physics major alum. 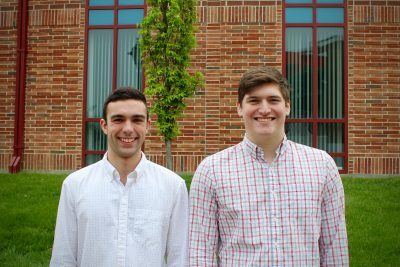 Undergraduate Physics Majors, Sam Cutler and Anthony (Josh) Machado, recently received awards from the NASA Connecticut Space Grant Consortium. Sam was awarded an Undergraduate Research Fellowship to perform research at UConn this summer working with Prof. Kate Whitaker. The title of his research project is “Examining High Redshift Rotation Curve Outside the Local Universe”. 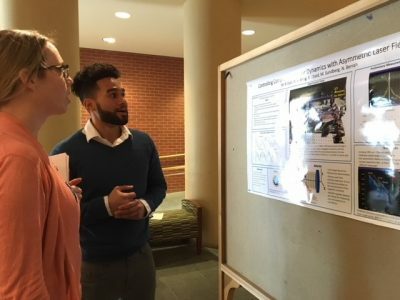 Josh was awarded the Undergraduate Scholarship by the NASA Connecticut Space Grant Consortium, and will be performing astrophysics research this summer at UConn working with Prof. Cara Battersby. 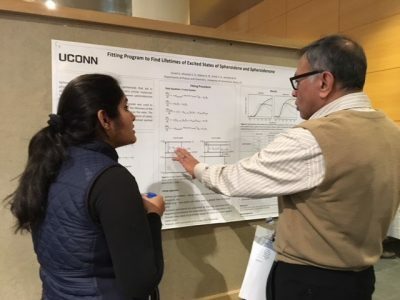 The Physics Department Graduate Student Association, in collaboration with the faculty, organized the Annual Research Poster Day which was held this year on March 23, 2018. About 15 students presented their research in a poster presentation. Awards were presented to graduate students Erin Curry and Martin Disla, and an undergraduate student Sadhana Suresh. 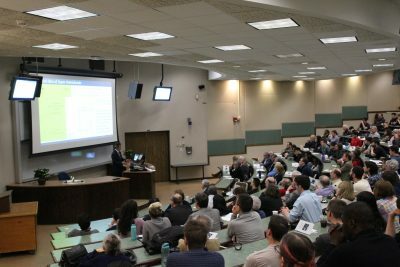 The 21st Annual Katzenstein Distinguished Lecture was hosted by the UConn Physics Department, featuring Dr. Takaaki Kajita, 2015 Nobel Prize Winner from the University of Tokyo, speaking on “Oscillating Neutrinos.” After the lecture, a banquet with the speaker was held for members and guests of the department. We enjoyed welcoming alumni and visitors to the department for this special occasion, made possible by a generous gift from UConn Physics alumnus Henry Katzenstein and his family. 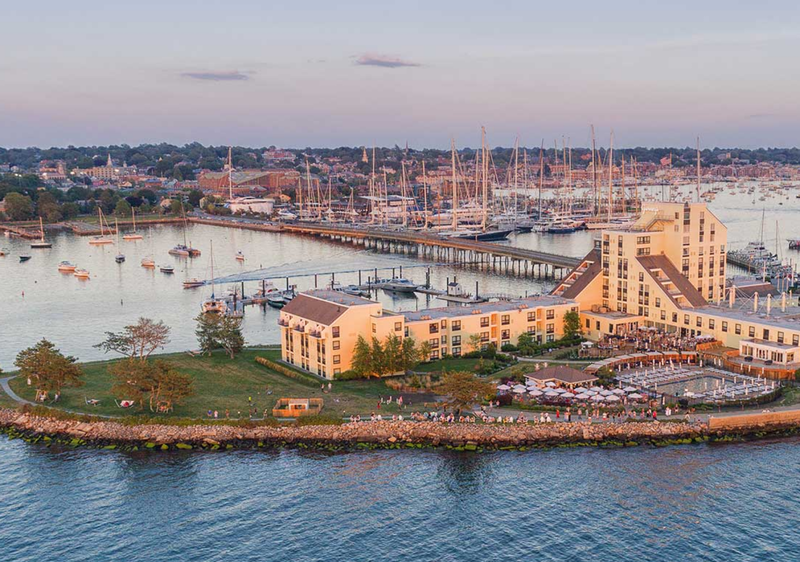 The Electronic and Advanced Materials Conference (EAM) is geared towards engineers, technologists, researchers and students with an interest in science, engineering and the applications of electroceramic materials. Several MSE students and faculty attended this year’s EAM Conference held in Orlando, FL. 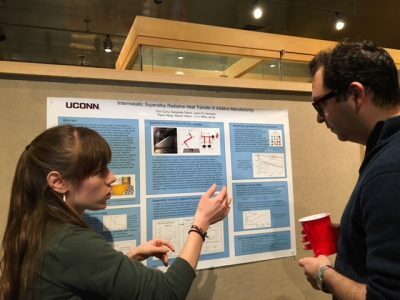 MSE Associate Professor and Director for Undergraduate Studies, Serge Nakhmanson, co-organized a symposium at this event entitled “Mesoscale Phenomena in Ceramic Materials.” Four UConn students including Tulsi Patel, Krishna Chaitanya Pitike, Lukasz Kuna and Hope Whitlock showcased their research. EAM, jointly arranged by the Electronics Division and Basic Science Division of the ACerS, focuses on the properties and processing of ceramic and electroceramic materials and their applications in electronic, electro/mechanical, dielectric, magnetic, and optical components and devices and systems. 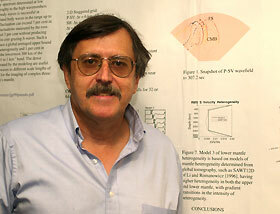 University of Connecticut physics professor Carlos Trallero has been granted $1.06 million from the Department of Defense, the U.S. Air Force and the Air Force Office of Scientific Research to study recollision physics at the nanoscale to help develop ultrafast electronics. This research will enhance the knowledge base of electron recollision dynamics at the nanoscale, which can be used to develop ultrafast light-driven electronics. These applications may be made possible by cultivating an improved understanding of the interactions and knowledge of the time scales of light-induced electronic motion including collective plasmonic excitations. Trallero and co-PIs from Kansas State University will study the response of individual gas-phase nanoparticles to intense femtosecond (10-15 seconds) laser fields using high-harmonics spectroscopy, momentum-resolved photoelectron imaging and corresponding theoretical modeling. 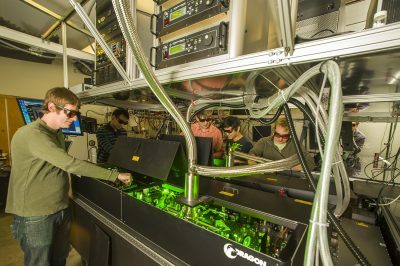 Earlier research on photoelectron emission from dielectric and metal nanoparticles has demonstrated that nanoparticles may be a promising system for exploiting the effects of laser-induced electron recollision due to the interplay between the laser field and the near-field of the particle. By extending these studies to longer wavelengths (400 to 9000 nanometers) and complementing them with high-harmonic generation from nanoparticles and nanoparticle aggregates, Trallero and his team will help build a better knowledge base of electron recollision dynamics at the nanoscale. “We predict that through this study, we will identify behaviors on the nanoscale that will differ significantly from those that have been studied at the atomic level,” said Trallero. The UConn-led team will work on the possibilities of controlling the nanoparticle response, especially plasmonic excitations, by applying synthesized two-color fields. They will also explore harmonic generation from tailor-made nanoparticles as a potential source of intense, short-pulsed XUV light. By generating harmonics from fractal aggregates and supper-lattices of nanoparticles, Trallero will gather information on the transition from localized molecule-like to de-localized solid-like electron-field interactions. The team also plans to study plasmonic excitations in laser pump, X-ray probe experiments using time-resolved soft X-ray scattering. 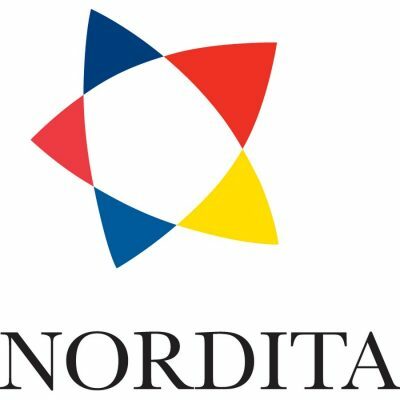 In collaboration with ultrafast physics faculty, Professors George Gibson and Nora Berrah, Trallero has started planning and building an “Ultrafast Center,” with ties to industry for research that includes an interdisciplinary group of faculty from the department of physics, the Institute of Materials Science, and the Schools of Engineering and Pharmacy. These faculty are specialized in optics, atomic and molecular physics, condensed matter, material science and engineering. Carlos Trallero, who received his PhD in physics from Stony Brook University in 2007, joined UConn in 2017. 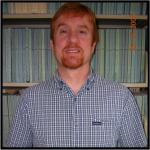 His research focuses on attosecond science, strong field molecular spectroscopy, cohere control, higher-order harmonic generation, non-Gaussian optics, strong field science at long wavelengths and ultrafast optics. This research is funding under DOD project number FA9550-17-1-0369.